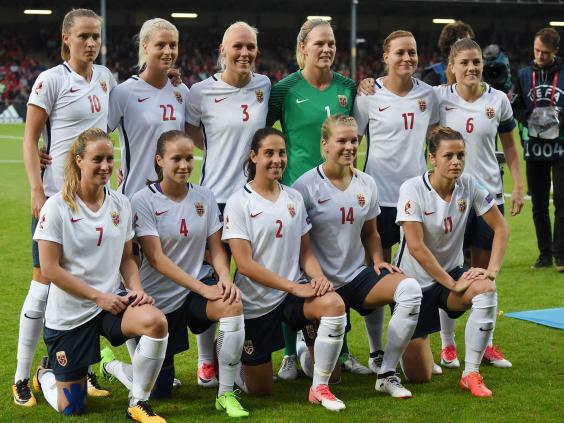 Male and female footballers in Norway are going to be paid the same amount for representing their country in international matches. Norway's Football Association and international players agreed the new deal, which will mean female players will paid get twice what they used to! There's been lots of discussion recently over men and women not getting equal pay for doing the same job. This is thought to be the first time in football, in any country, that all players, regardless of gender, will be paid the same. Under the new system female players will be paid somewhere between £296,000 and £574,000, with some of this money being given by the men's team. National team winger Caroline Graham Hansen took to Instagram to thank her male colleagues for their donation.